Seiko TP20 Multi-Use time/date/message stamp. The Seiko TP20 clock is a multi-purpose time recorder. It will print the time and date on cards or job tickets for payroll or costing jobs. 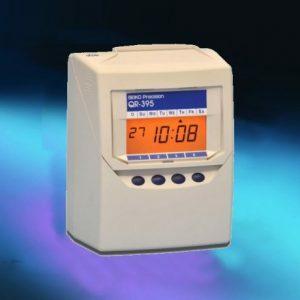 The Seiko TP20 can also print an additional 6 digit number which advances due to your requirements, giving each clocking a unique identity (typically used in garages, dealing rooms, goods in /despatch departments). Seiko has been known for precision, reliability and excellence since 1881. Looking for a bargain? then why not consider an ex-demonstration or ex-rental unit fully serviced and with full 6 months warranty guarantee. Contact 01252 517123 for availability. We also offer an installation service through our partner company Allday Time Systems. 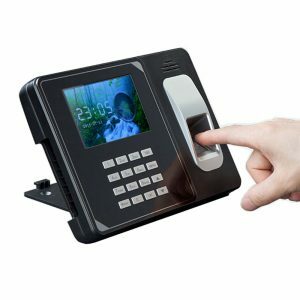 An experienced engineer will attend your site to set up and install the Seiko Tp20 for you. With our Seiko TP20 installation service we will also offer on-site support giving you complete peace of mind. If you are interested in our installation service then call us on 01252 517123 for more details. Why buy Seiko TP20 from us? We are an official Seiko distributor for the UK. We supply geniune Seiko products. 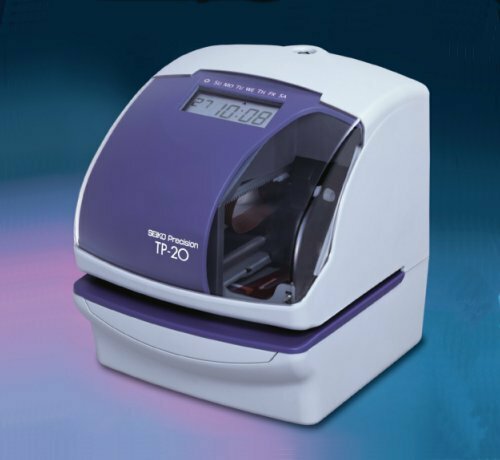 We include set-up of the Seiko TP-20 at no extra charge. Sounder – Mains AC wall mounted (White). 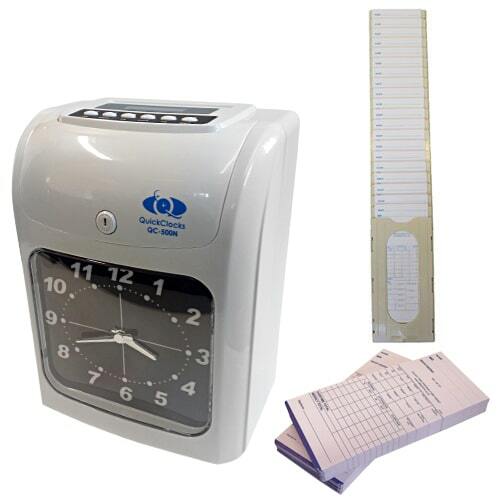 Seiko Calculating Clocking in Machine Time Attendance Clock – for up to 100 staff with lateness indication.